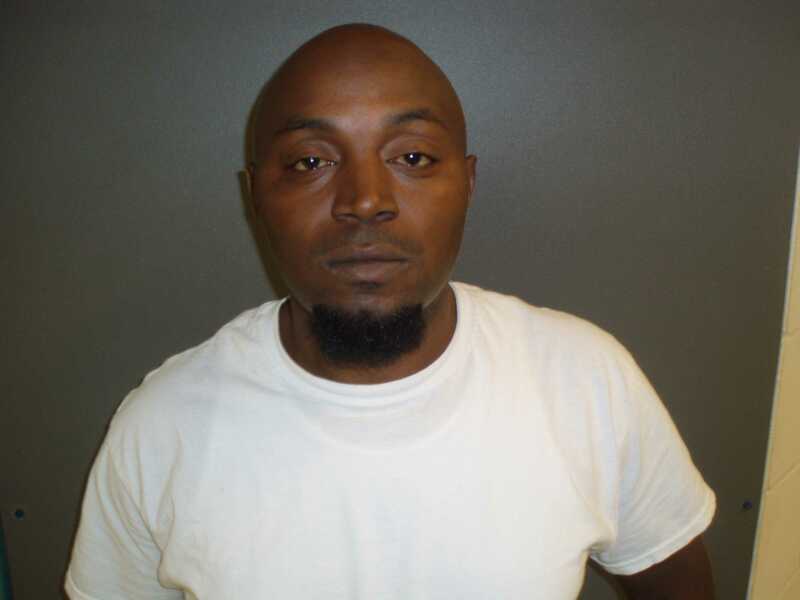 CROCKETT – A Crockett man faces five felony charges after he was arrested on Tuesday night, Aug. 14 following a complaint about suspicious activity in I.T. Williams Park in Crockett. According to an affidavit of probable cause, Crockett Police Department officers were dispatched to the park in reference to people smoking phencyclidine (PCP). 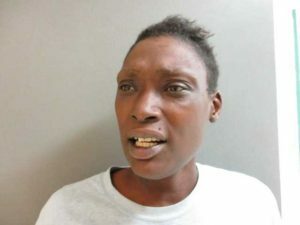 When CPD officers arrived at the scene, three individuals – later identified as Javoltrick Lockhart, 38, Ashley Butler, 30, and another individual – were “… sitting on two picnic tables towards the back of the park,” the affidavit reported. Per city ordinance, the I.T. Williams Park is closed between the hours of 10:30 p.m. and 6 a.m.
As officers approached the three individuals, they observed Lockhart throw several items on the ground. “These items were later recovered and identified as two small zip lock bags. One of the bags contained a residual amount of suspected marijuana and the other contained 10 multicolored pills with different animal designs,” the probable cause document stated. The 10 pills were suspected of being a methamphetamine-based ecstasy and once the bags were recovered, Lockhart was searched by officers. “Lockhart smelled of PCP and appeared to be highly intoxicated on the drug. He had slurred speech, red glassy eyes and was slow and unresponsive to instructions,” the affidavit stated. During the search, a Mentos container was discovered in one of Lockhart’s pockets. The container had loose tobacco in it which smelled of PCP “… and appeared to be soaked in the drug,” the affidavit reported. A Tylenol prescription bottle with Lockhart’s name was also found during the search, however, the bottle did not contain Tylenol “… but instead contained 12 Tramadol pills and two hydrocodone pills,” the affidavit indicated. Butler was charged with public intoxication, a Class C misdemeanor while the third individual was released. Because the I.T. Williams Park is a drug free zone, Lockhart was charged with public intoxication; two counts of possession of a controlled substance, penalty group three, in a drug free zone for the Tramadol and hydrocodone; two counts of possession of a controlled substance, penalty group one, in a drug free zone, for the PCP and meth-based ecstasy; and one count of tampering with evidence. The two possession of a controlled substance, penalty group three charges are state jail felonies under Texas law while the two possession of a controlled substance, penalty group one charges, along with the tampering charge are all third degree felonies. A state jail felony carries a range of punishment between 180 days and two years in a state jail facility, along with a fine of up to $10,000. Public intoxication, as mentioned earlier, is considered a Class C misdemeanor and is punishable by a fine not to exceed $500. Lockhart is held on bonds totaling $25,000. Next articleWhat’s Next for the CEIDC?